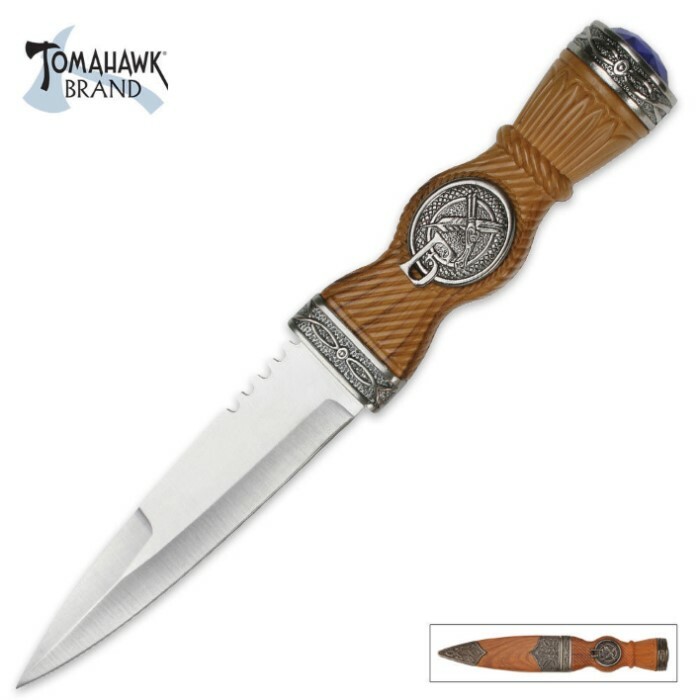 This dagger is patterned after the traditional Scottish sgian dubh, or sock knife. This item measures 9" overall and features a 4 1/2" stainless steel spear point blade with blood groove. The cast metal handle offers authentic detailing, brown wood finish, and blue jewel in the pommel. Includes rigid sheath.